Home automation nowadays has become one of the important elements when it comes to building design and planning. A comprehensive home automation system will provide convenience, comfort, energy efficiency and security for the residents. To improve the overall home automation system, Bedford NH – HomeSeer Technologies has showcased its new HomeTroller-Mini home automation controller at the recent 2011 CES show in Las Vegas. This palm size tiny home automation controller is an ideal substitution for the bulky PC that will function as the main controller for home automation using the latest Apple® and Android® smart phones, tablet PCs and other devices. This mini and powerful gateway device work together with Apple and Android smart phones and tablets to remotely control house appliances, HVAC (heating, ventilation and air-conditioning), lighting, etc via text, e-mail, voice/speech. 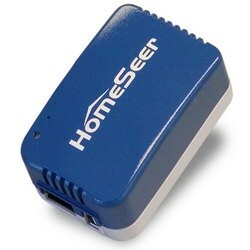 HomeSeer Home Troller-Mini supports Z-Wave and other home automation technologies. Besides controlling the automation system, this device also sends alerts, announcements and reminders to notify users and works as a useful tool to assist users to monitor house energy consumption. HomeSeer Home Troller-Mini runs on a 1.0 GHz Linux platform and works with the Z-Wave device and with other standards used by Schlage, Lutron, Leviton, Microsoft, and lots more. For $300, users who are home automation enthusiasts can grab one to complement and control their home automation system.